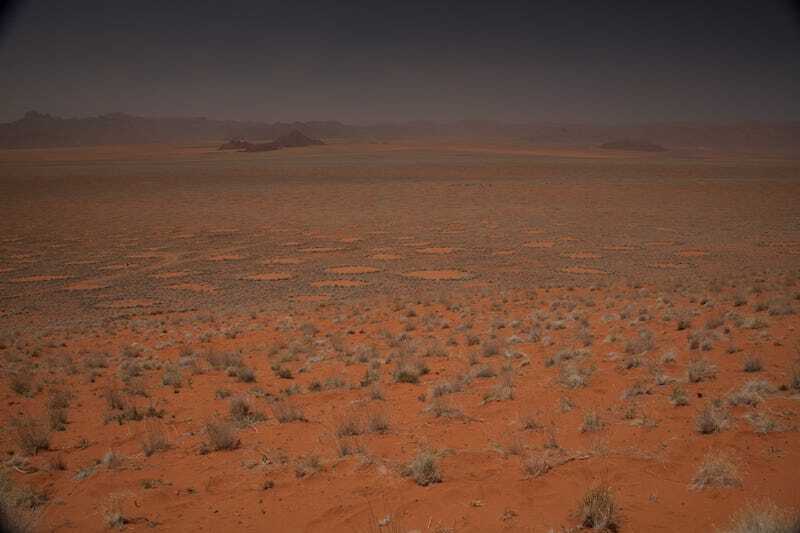 For decades, scientists have struggled to understand the strange circles of barren land that litter the Namib Desert. Called “Fairy Circles,” their formation has been attributed to everything from supernatural forces to poison gas and subterranean insects. Now, scientists may have finally solved this enduring mystery. 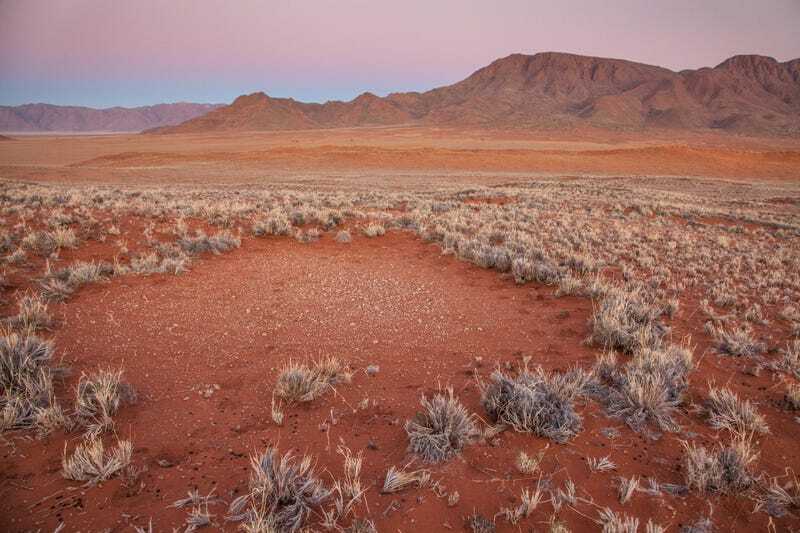 A new study published in Nature has found that Namibian Fairy Circles are the product of not one, but two ecological forces. By combining field observations and computer models, researchers from Princeton University, the University of Strathclyde in Glasgow, and several other institutions, have shown that the interaction between both termites and self-organising plants (i.e. plants that either clump themselves together or disperse according to the availability of resources) is sufficient to explain this enigmatic landscape feature. Importantly, this new theory could be used to solve similar mysteries around the world. Found at the intersection of grasslands and the desert, Namibia’s Fairy Circles are hexagon-shaped patches of bare soil that are surrounded by rings of tall grass. These features, which number in the millions, measure anywhere from six to 115 feet (two to 35 metres) wide, and extend for hundreds of square miles across southern Africa’s Namib Desert. Over the years, a number of explanations have been posited to explain the strange features. The circles have been attributed to self-organising plants, grazing ants, subterranean termites, poisonous shrubs, and even toxic gases, such as carbon monoxide, that leak from the ground. Locals say they’re the work of supernatural forces. Of all the theories, however, root-eating termites and self-organising plants have emerged as the leading candidates. According to the termite hypothesis, an industrious species of termite called Psammotermes allocerus is engineering Fairy Circles by killing the plants above them, creating bare patches that concentrate moisture. In their effort to create water traps, the termites are reshaping the landscape around them. The self-organising plant hypothesis stems from theories of plant competition, and the observation that grasses growing in areas with limited access to water exhibit distinctive growth patterns. This part of Namibia is the transition point between desert and grassland ecosystems, and there isn’t enough water to sustain continuous vegetation cover. The plants are thus forced to compete for water, and organise themselves accordingly, often forming regular patterns that can stretch for miles. Neither of these two explanations can sufficiently explain the Fairy Circles on its own. The work of termites can’t explain the tall grasses at the perimeter of the circles, and the behavior of plants can’t fully explain why Fairy Circles come into existence and then die, or why similar features aren’t found in similar environments elsewhere in the world. These inconsistencies have resulted in heated debates among researchers over the years, with each camp eager to point out the deficiencies in their rival’s explanations. But in an interesting twist, it appears that when these two theories are combined, a satisfactory explanation emerges. “Only by considering the interaction between both termites and vegetation self-organisation can we obtain such a comprehensive description of all the main properties reported for Fairy Circles,” said Juan A. Bonachela, an assistant professor from the University of Strathclyde and a co-author of the new study. “We offer a plausible explanation for how these and other regular vegetation patterns emerge, which [includes] what were thought to be mutually exclusive explanations for the system.” The key, said Bonachela, was in understanding the nature of the interactions. When sand termites create the bare patches, this facilitates the accumulation of water underneath the patch in the soil, which is essential for termite survival. The vegetation ring that forms the outer boundary of the Fairy Circle results from plants taking advantage of that increased moisture, spreading their plastic-like roots underneath the bare patch. 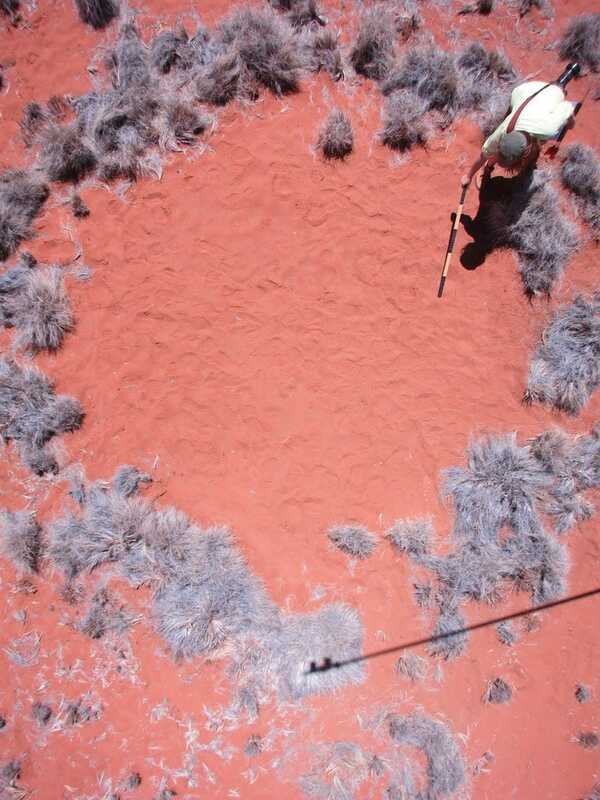 The often symmetrical, patterned ground that separates the Fairy Circles is caused by the intense competition for resources; a kind of matrix is formed, where individual colonies of plants and termites come together in an overarching mesh-like pattern, creating evenly-spaced oases. By using computer simulations, the researchers were able to reproduce the patterns seen in nature. Simulations showed that the presence of termites made the ecosystem more robust—in the sense that vegetation remained in the system surrounding the Fairy Rings during times of low rainfall — and they allowed the ecosystem to recover more quickly from environmental stressors, such as long periods of drought.